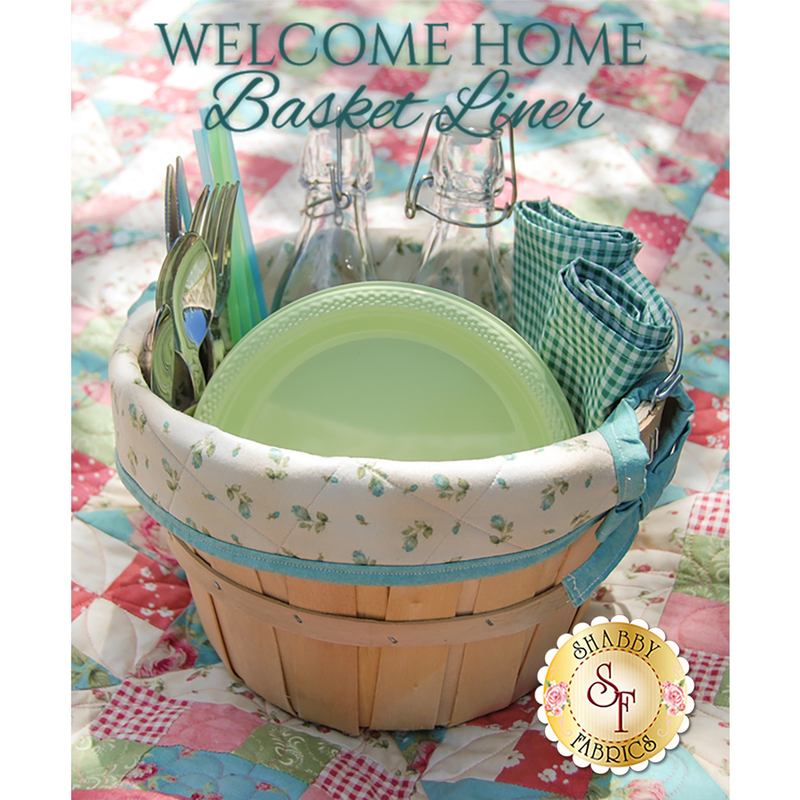 Add a sweet touch to your picnics this summer with the Basket Liner designed right here at Shabby Fabrics! These unique Basket Liners offer decorative, yet practical storage with the built-in pockets. Liner measures approximately 6"H x 9"D and fits round baskets. 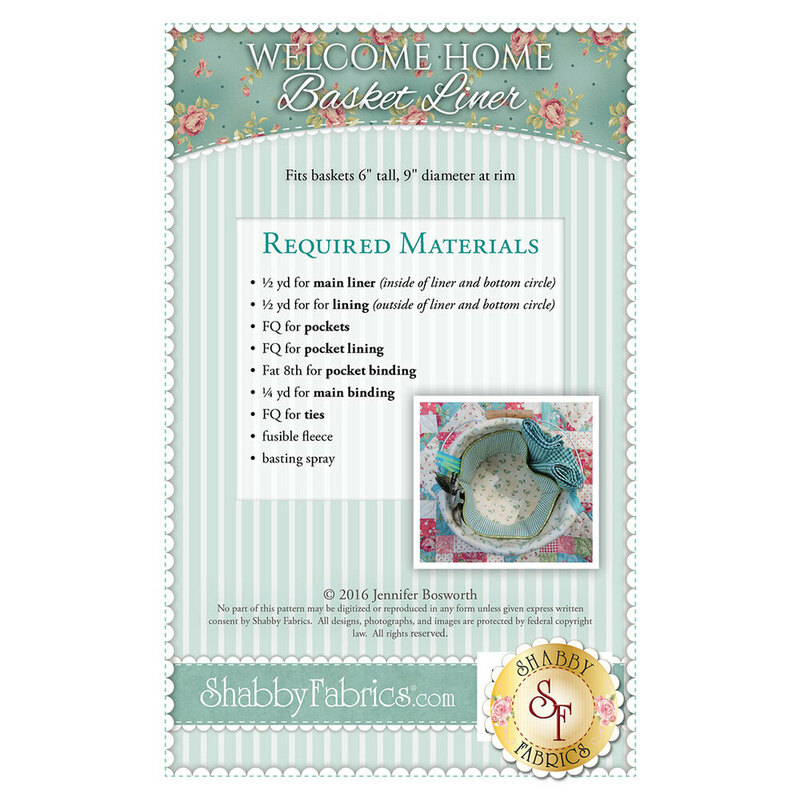 Pattern includes instructions and diagram to complete project.